Have you ever dreamed to become a professional Street Luge rider? I this game you can make your dream come true. In this game you can play with your board through the city and other locations. 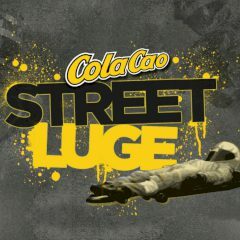 Show everyone who you are and conquer in the world of Street Luge! If you are ready for such an extreme challenge, begin your adventure. If you like action games and extreme spots and you think you are sufficiently trained to prove to be the best of the competitors, then start now and do not miss a single second, because the challenge we bring is one of the most difficult and in the same time interesting you've seen so far. You can be part of a high-speed adventure on Street Luge board. Now you must prepare and start paying attention because although it may seem very simple, it becomes more complicated with every race. So you have to show all your abilities if you want to win. This game is packed with lots of action and fun with a loot of the adrenalin. Show what you can and begin extreme adventure that will bring you the most amazing and surprising moments. Are you able enough to become a champion?